Websites are just like people; they want and need to be loved. But the web circa 2007 is in adolescence, and most sites are terminally selfish. They’ve yet to learn that Lennon and McCartney were right: the love you take is equal to the love you make. Of course the last place adolescents would look for advice is adults. But there are two wizened grown-ups who could offer websites some help: architecture and storytelling. I know far less about architecture and storytelling them than do real experts. But I’ve seen things in these fields that have been useful to me in making websites that work. I’ve summarized some of those observations here. Be a part of something. Buildings are reflections of their creators. They are willful. They try to do things. Their success depends in some part on how they look and much more so on how useful they are. And that depends on their connections with many other buildings and systems. Join the fabric, not just the block. Use that to create sites that become part of people’s routines. Love your neighbors and they’ll love you back. Grow into your role. Ask people their opinions and use them as a guide. Create stories about desire We all approach people and places with intent. Do we get what we came for? Do we get something different? What do we do next? These are all stories. Stories matter because that’s how we experience life: not as discrete tasks but as experiences, moments that add up to a larger whole. Yet many websites offer a litany of tasks and tools without any context, without any seeming contemplation of the arc of their audience’s story. Comparing Yahoo and Google offers an example. same principles to determine how to evolve the site. 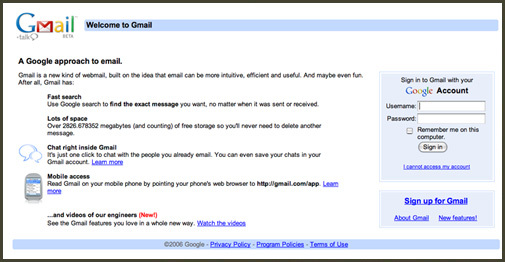 When Gmail was introduced, with “conversations” it was clear that the inspiration was how people use email. Gmap-pedometer created not by Google, but by Paul (with help he acknowledges), using Google’s API, and made available to everyone. Paul also acknowledges Google: First and foremost, [thank you to] Google, who made a great map site, and had the chutzpah to make it driven by client-site code and hackable. This is the sort of thing that make [sic] the Internet fun. Google products fit with sublime brilliance into the stories of our day-to-day lives. In a list called Ten Things, Google lays out the guiding principles that underpin the experiences they enable. Seeking to enable stories as opposed to tasks forces one to develop richer ideas. One must think about human needs, and look for ways to fit in and fulfill these human needs. 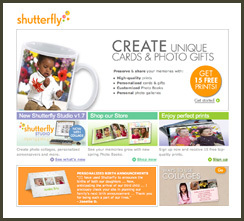 Shutterfly.com provides another example. Personal photography is a means of self-expression. We all want to take good pictures, to do justice to the people and things we photograph; and if we do it well many of us would like recognition. Thus, among the key human needs a site like Shutterfly.com should fulfill are expression and recognition. Yet visitors to Shuterfly.com are greeted with products and seasonal specials. 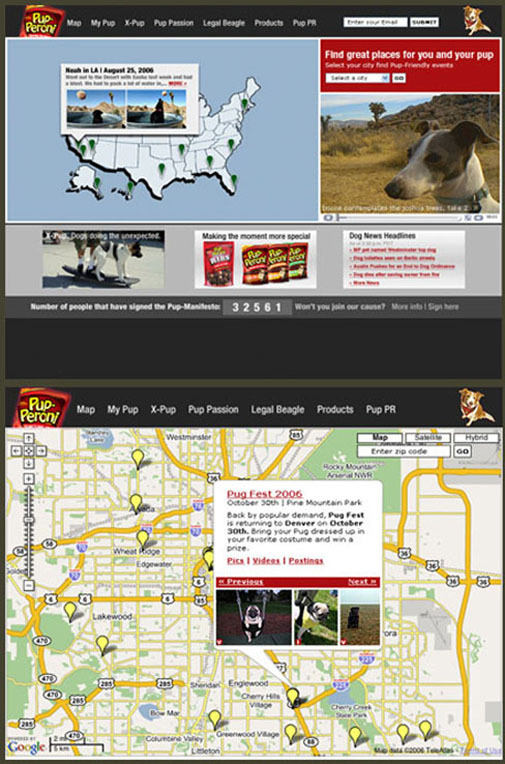 The site follows the familiar catalog model. It is as passive as a piece of direct mail. It is barely participating in customers’ lives. Shutterfly is missing a huge opportunity. They have passionate customers who spend a lot of time on photography. The site could (and should) celebrate Shutterfly customers, and inspire and empower from the first moment by offering galleries of photography and collage layouts by Shutterfly users. Guest designers like Kate Spade or even Rachel Ray could add unexpected twists. To respect the depth of family stories, the site could feature a few customers who show how Shutterfly has played a role in their lives. And the most passionate customers—those who participate most—could be recognized with special status in the site. Shutterfly could make it easy for customers to show friends their proud creations—which is even more likely if those pictures and collages have been validated by the enthusiastic votes and comments of fellow customers. The site could provide a vibrant, interconnected experience. By returning always to the timeless human needs that motivate their customers—expression and recognition—Shutterfly.com could be loved. We did a small project for Shutterfly recently to start them on the path of telling stories and celebrating their customers. This single page is well short of the potential for a site like Shutterfly.com, but it starts to illustrate where the brand could go. Think in terms of stories, not tasks. What context is your audience in? What comes before and after they’re with you? Share what you create, whenever possible. Become part of ongoing stories. Read some fiction. Remindyourself to think in terms of people’s lives, not your business plan. Don’t just sit there looking pretty. For years I’ve perused books, magazines, and websites devoted to all types of design—architecture, advertising, typography, photography—and found myself unsettled by the beautiful work being celebrated there. Recently I’ve figured out why. This work comes from a mindset that is satisfied with simply making something beautiful. What is the story? Boy meets girl. Boy gets girl. The end. Over and over. It’s boring at best. Yet, that’s the story the design culture seems to tell. Life isn’t like that, and these publications and sites, and their culture, seem to isolate and celebrate a world that isn’t relevant or moving, or is relevant to the extent that anyone in the audience lives a similarly isolated experience. Giving voice to an exciting, emerging point of view, the book Design Like You Give a Damn makes the passionate case that, “architecture and design are not about being on the cover of last week’s New York Times Magazine but about making a difference in people’s lives.” (From the treehugger.com review.) This book is changing the design dialogue, adding a voice that will be amplified in coming years. Back in the web world, Craig’s List is merely words with the occasional picture, but it’s one of the most engaging websites ever. One visits again and again, for many different reasons, and is part of a new story every time. MySpace is one of the ugliest sites I’ve seen, but it’s vibrant, and hardly boring because it lets people express themselves. MySpace captures the quirkiness of humanity, and that is beautiful and lasting. On the other hand, Adobe’s The Creative Mind is a beautiful site that, after one wanders amidst exquisite animations, leads to tutorials. It appears they hired a great illustrator and talented Flash programmer and forgot about trying to fit into creative people’s lives. What is the story the Adobe and Goodby teams were trying to tell? Did they start daydreaming halfway through and wake up with the sales team? 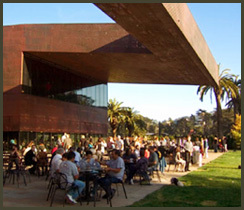 A recent example of extraordinary design success is the new deYoung museum in Golden Gate Park. Designers of all stripes regard it as beautiful; but more than that it’s quickly becoming loved—an impressive feat for a mass of sharp jutting angles with pockmarked copper cladding. I believe the love is coming for two reasons: first, the galleries show art exceptionally well. Second, and most important, is the way the museum respects and integrates itself into its venerable neighborhood—the Park. The deYoung’s overall design, and in particular the café and sculpture garden create a flow between the galleries and the trees and grass and air outside, that’s a match made in heaven. a difference in some way. Beware the distraction of beauty; it can make you think you’re making something great, when you’re just making something that looks great. Take the time to learn where your audience lives, and how they like to live. Insights are there to be found. It’s easy. When buildings and websites matter, it’s because the experiences they enable matter. 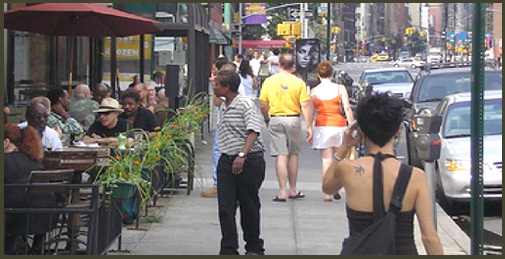 Greenwich Village, Google, MySpace, and the deYoung Museum, to name a few, start with human needs, fulfill them over time by becoming parts of human stories, and in the end are loved. You can be too.